There's been no shortage of competent media streamers hitting our test benches over the last year or so. 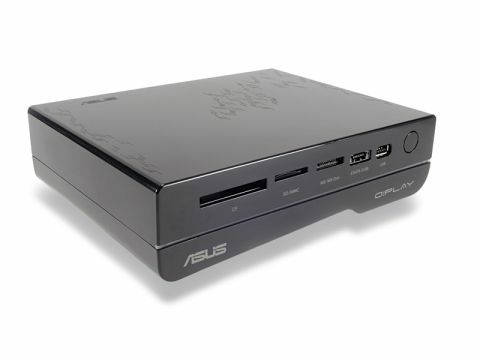 Asus' original O!Play HD1 was little different, offering myriad format compatibility and fairly basic functionality for a decent price. The Asus O!Play HD2, though, has a trick up its sleeve: USB 3.0 compatibility. Elsewhere it's still the same Realtek powered device, with NAS, BitTorrent and iTunes server options to boot. It happily copes with practically any file format you throw at it and manages local HD video content without problems. But times are tough for the standard media streamer and I don't think the addition of a still under-subscribed interface will make much difference. The difficulty is in the availability of cheaper and increasingly more powerful net-tops, and the spectre of Google TV and other TVs with internet and PC connectivity. The O!Play does come with some internet-ready apps, such as Picasa and Flickr, plus a weather and stock reporter, but these do precious little to elevate it. There is the promise of an Opera browser in the next firmware update and Asus claims it will continue to add apps in, but at the time of writing those are still a little way away. Still, the O!Play is a functional little device and this time around there's the addition of an internal HDD slot that I'd wager will get more use in the short term than the USB 3.0 port. Unfortunately, the tightly closed Realtek platform offers little room for manoeuvre for the manufacturers, and with others like the fully internet-savvy, open-sourced Boxee Box from D-Link just landing, it's a tough market for this capable little box.